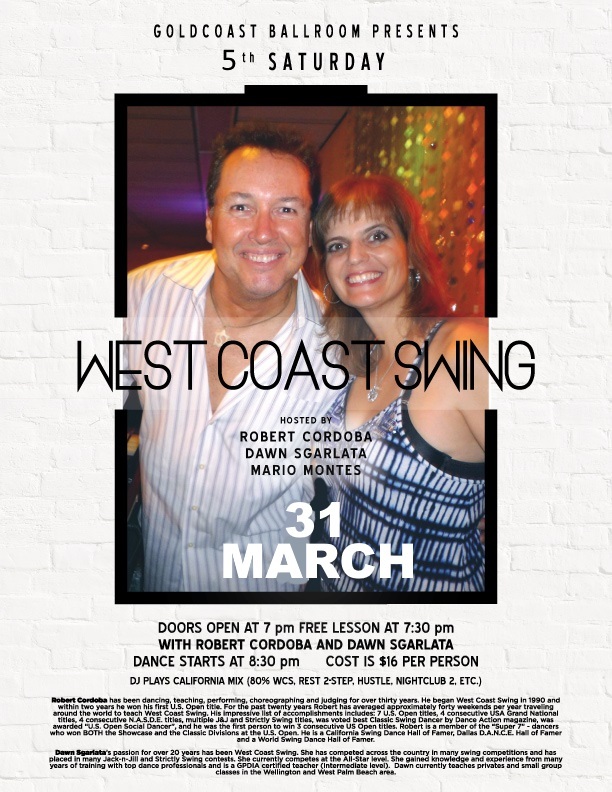 WEST COAST SWING – SATURDAY DANCE!! Copyright © 2013 - 2015 Goldcoast Ballroom. All rights reserved.